Dev and Salim are two poor musicians who have the misfortune to witness a murder and are now on the run. With no other options available and the gangsters hot on their heels, they don drag and join a touring all-girl band as Devi and Salma. Hilarity ensues as Dev falls in love with Ritu and Salim fends off the advances of a rich man…all the while trying to stay one step ahead of the bad guys. Will Dev(i) tell Ritu who and what (s)he really is? Will Salim escape with his virtue intact? Will I ever understand why the villains dress in matching outfits? 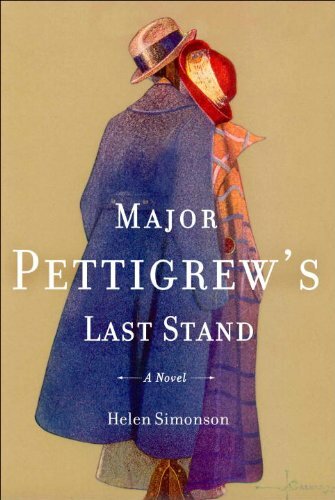 Major Ernest Pettigrew (retired) has just learned that his brother Bertie has died when the novel opens. Unfortunately, this leads him to answer the door while wearing a floral dressing gown, as well as to show an almost unseemly amount of emotion. Luckily his momentary lapse leads to a friendship with Mrs. Ali, who runs the local shop. Since both Major Pettigrew and Mrs. Ali have lost their spouses years ago, there is nothing improper about their deepening affection for each other, despite how their respective family members and the rest of the village of Edgecombe St. Mary react–they merely share a love of literature, nothing more. A pair of antique rifles the major wants to reunite (his father split them between the major and his brother), a surly nephew of Mrs. Ali’s who wants to take over her shop (a middle-aged woman simply can’t manage on her own), the major’s clueless yuppie son (complete with American girlfriend), and the local golf club’s annual dance (which has a theme that can’t possibly go wrong) all add unexpected twists and turns to the plot. The novel is charming, witty, and entertaining, and while it’s no surprise how the story ends, it’s a definite pleasure getting there. There are hints of P.G. Wodehouse, although it’s nothing like as silly; there is an underlying social commentary being made as well, but nothing too deep or political. Everyone gets what they deserve in the end, but it never feels too neatly resolved. I only hope that Helen Simonson’s second book proves to be as delightful as her first. Avery is just your average boy. No super strength or ability to fly, no sir. Nope, he’s not a misfit or freak or anything. Just your average, dull boy. Except, of course, he’s not. And it’s gotten beyond his ability to control or hide, so people (like, his parents) are starting to notice and wonder. So they pack Avery off to a school for troubled and/or difficult youth, and things just go from bad to worse. This weird girl is stalking him, insisting she knows who and what he is, the rest of the students are all psychopaths, and the teachers don’t care. But once Avery finally gives in to Darla’s pleading and agrees to meet with her other friends, things get better. He’s not the only freak out there after all! They even manage to do some good with their powers. Except it’s not all sunshine and lollipops–Cherchette, a mysterious woman who seems to have powers of her own is trying to lure Avery and some of his new friends to join her mysterious and possibly sinister team. Yes, it’s a teen super hero novel. 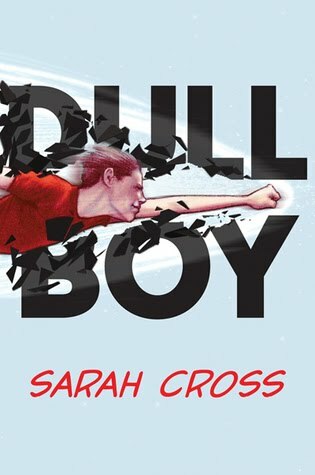 And while it’s not terribly original (but then most super hero novels aren’t) it is a fun read, and has the potential to become a solid series. I really enjoyed this book, and it has only fueled my desire to go to India. Which is strange, really, since a goodly portion of this books concerns gangsters, dancing girls, and the Shiv Sena; none of these are particularly tourist-friendly–well, the dancing girls might be, if you’re a male tourist. My favorite part was the Bollywood section, of course. It was fascinating to read about how a film gets made: how the script develops, how casting is determined, how financing is secured, how the shooting proceeds, and how all of these things can change on very short notice. It was even more interesting because I’d actually seen the film in question (“Mission Kashmir”). I knew a little bit about Sanjay Dutt and his legal troubles, but not to the extent that they were explored here; a lot of the Hrithik Roshan information I already knew because I have read this charmingly silly and rather gossipy book (it also had a description of Preity Zinta and the gangsters, which I need to go back and look at again). 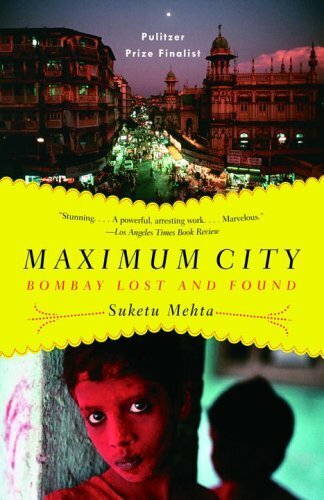 I feel a little bit like I’ve done the Suketu/Vikram trifecta, since I’ve now read Maximum City, seen “Mission Kashmir,” and read Sacred Games (which I should write a *real* review for). It was very interesting to see where they all overlapped and where they diverged. I should point out that I have also read and loved Vikram Chandra’s other two books, that I have seen other Vidhu Vinod Chopra films, and that I’ve read some of Anupama Chopra’s books and articles too, so I’m not a total n00b. It’s big, it’s sprawling, it covers both the sacred and the profane–it’s just like Mumbai, in other words. And I want to go there some day. Top 100 children’s books; bold the ones you’ve read. 70/100 and for the most part, I really did read them as a child, although there are a handful I read in library school. There are some on the list I’d like to read though, like Hugo Cabret.